A documentary about what videogames have become in the 21st century and how they've transcended art and technology on their way to becoming a leading cultural influence on creativity everywhere. 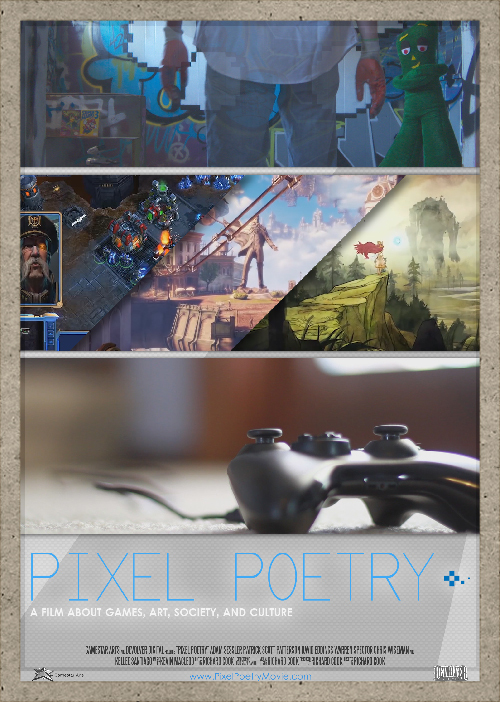 Pixel Poetry is now available across American Cable in Movies on Demand! ​In this film, through the voices of many within the industry, we discuss the benefits that videogames have created for everyday people, as well as the challenges they have faced in being legitimized as art and the alleged violent and addictive qualities they are claimed to have. Along with this, we also discuss the effects of the indie community on games, and how videogames are being embraced in everyday life.